Each year from November onwards ice rinks spring up in and around some of London's great buildings and parks. Get your skates on and show off on the ice or take lessons and improve your skating skills. The rinks are open for up to three months each winter and it's great fun for all ages. Discover the most glamorous ice rink in London. Skate to the sounds of some of London's best DJs. View all information on Somerset House Ice Rink. Skate at a stunning location, The Tower of London Ice Rink. View all information on the Tower of London Ice Rink. This rink is at the foot of the famous Canary Wharf's Towers, a great place to show off your skills for up to four months in the year. View all information on Canary Wharf Ice Rink. Fun for all the family, skate in the grounds of the Natural History Museum. This rink is big and opens as early as November 5th. View all information on the Natural History Museum Ice Rink. 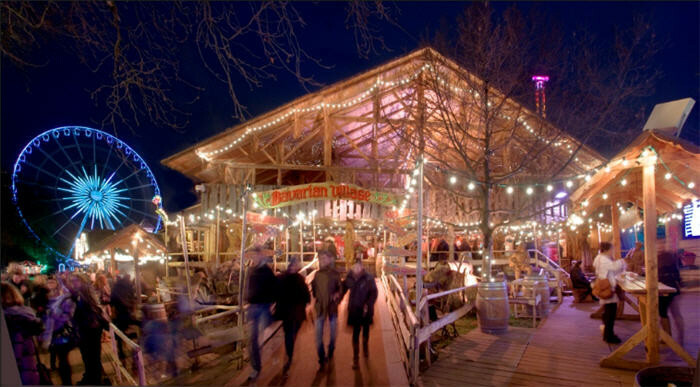 The ice rink in Hyde Park is part of the magical Winter Wonderland, guaranteed to get you in the festive spirit. Check out the complete list of winter events in London.